Dr. Allan Armitage is well known as a writer, speaker and researcher throughout the world. 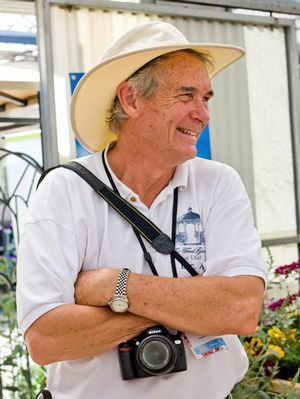 He has evaluated garden plants in Montreal, Canada; East Lansing, Michigan and Athens, Georgia, gaining an appreciation of plant development in the North and South. He holds his B.Sc from MacDonald College of McGill University, Quebec, M.Sc. from University of Guelph, Ontario and his Ph.D. from Michigan State University in Lansing. At the University of Georgia, he runs the research gardens where new plant material from most of the flower breeders in the world is evaluated. The trial gardens at UGA are among the finest trial gardens in the nation. They are open to the public throughout the year. As a teacher and speaker, Dr. Armitage has lectured in Canada, the United States, Colombia, New Zealand, Australia and Europe and is in constant demand. He has visited research and production centers throughout the world and studies annuals, perennials, cut flowers and greenhouse crops in various climates. His courses include Greenhouse Production, Greenhouse Crop Management and Herbaceous Plant Identification and Use. He is a highly engaging teacher and his courses fill rapidly.